The archangels are the superior level of the Third Order in the angelic hierarchies, and are the only ones among them who have names. As for the West, in the Council of lateral (746), the number of archangels who should be worshipped (Miguel, Gabriel and Rafael was limited to three. 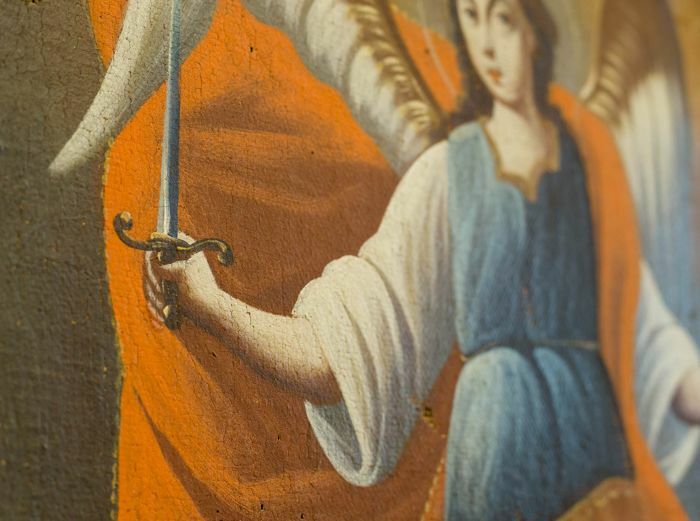 This changed from the moment that a fresco was discovered in 1516 in the church of San Angel in Palermo, which belonged to the order of the Carmelites, and where the Trinity appeared with the seven archangels. 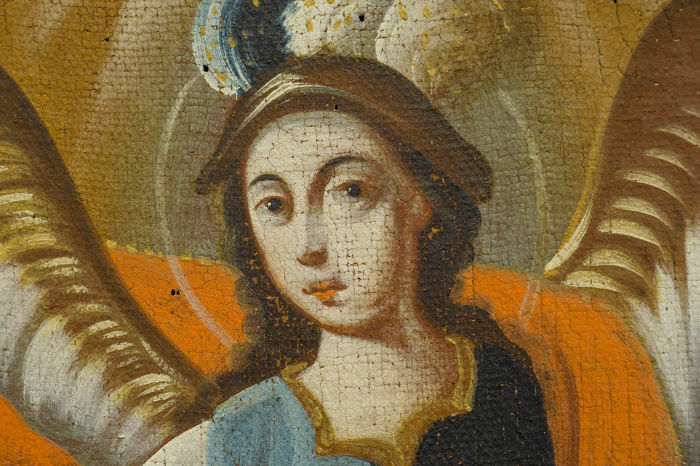 This fresco was reproduced (sometimes with variations) in numerous engravings spreading thus this iconography. 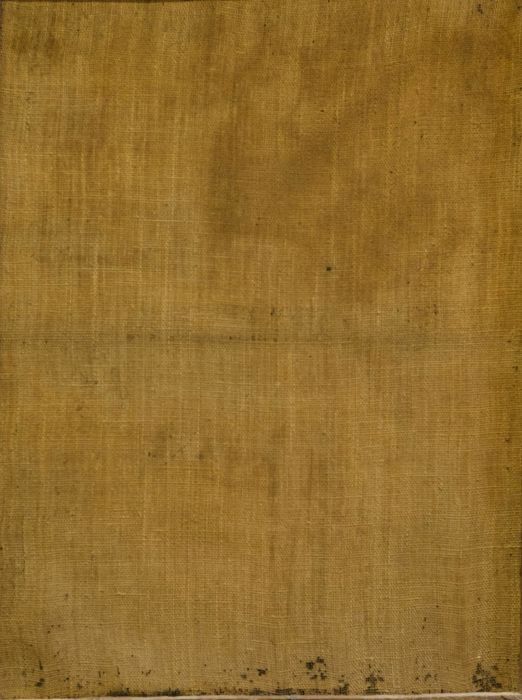 So, from that moment onwards, the Catholic church included this one among the ones receiving worship, and the representation of the latter multiplied, either in a single painting or forming cycles with each one of them in one painting, until some of them were retired later. According to tradition, San Miguel is the head of the celestial militia and defender of the Church. Precisely for this reason he fights against the rebel angels and against the Apocalypse dragon. He is also Psychopomp, that is to say: he escorts the dead and he weighs the souls the day of the Final Judgment. Scholars have linked his cult to the cult of several gods of antiquity: Anubis in Egyptian mythology, Hermes and Mercury in classic mythology and Wotan in the Nordic one. In the West, the cult to San Miguel begins to develop from the 5th and 6th centuries onwards, first in Italy and France, and then spreading to Germany and the rest of Christendom. Around the year 1000, churches and chapels dedicated to him are countless, due to the belief that the Apocalypse will arrive on that date. Often, his temples are located in places at high altitude, due to the fact that he is a heavenly saint. The kings of France accorded him a particular veneration from the 14th century onwards, and the Counter-Reformation made him the head of the church against the Protestant heresy, providing momentum anew to his cult. 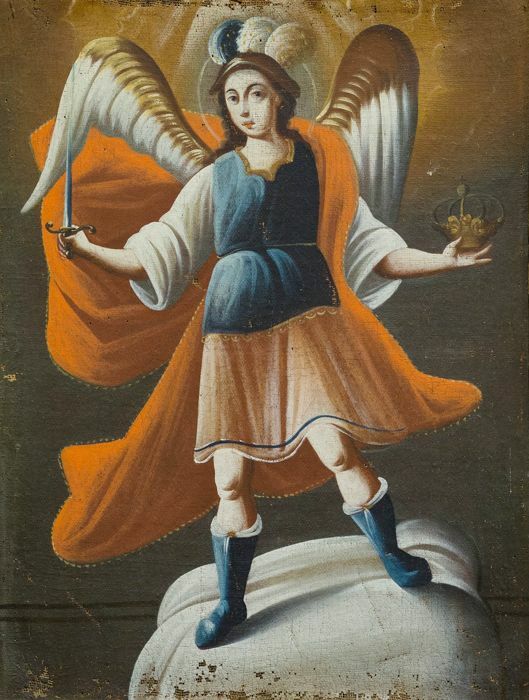 San Miguel Arcángel is a military saint and thus he is the patron saint of knights and of all trades related to weapons, as well to scales, due to his role as an apocalyptic judge. His iconography is considerably rich, but relatively stable. As a general rule, he appears dressed as a soldier or knight, holding a spear or a sword and a shield decorated with a cross. When he fights against the dragon he is standing or on the air, which allows us to distinguish him from San Jorge, who is most of the time riding on a horse. However, the big difference between the two saints are San Miguel’s wings.